Home » Made in USA: It matters to us. Does it matter to you? 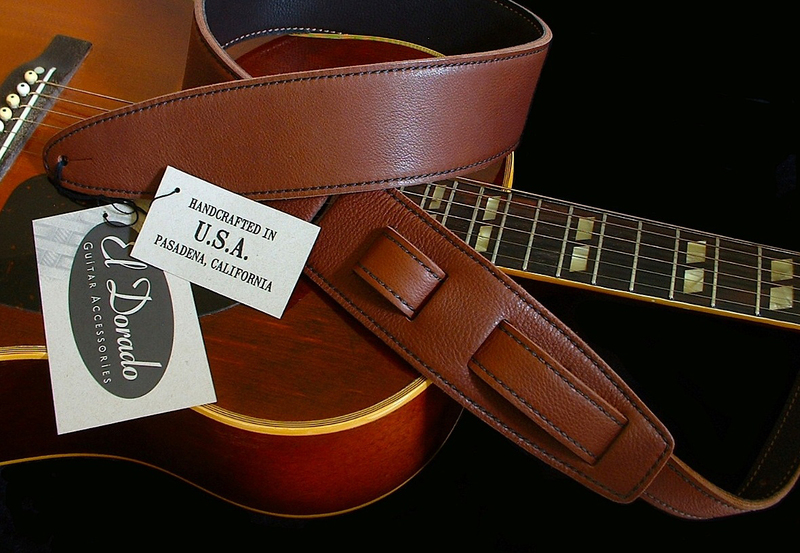 Each and every El Dorado guitar strap is individually handcrafted in California, USA, by skilled craftsmen with decades of experience creating custom leatherwork. We use only the highest grade leathers and materials, ensuring that your El Dorado guitar strap will provide many, many years of use, comfort, and enjoyment. Making our guitar straps right here in the United States allows us to give the attention to detail and quality that is a hallmark of El Dorado Guitar Accessories. Maybe we’re old fashioned, but “Made in the USA” still means something to us. How about you? This entry was posted in Featured, Product News on May 1, 2013 by Bill Silverman.